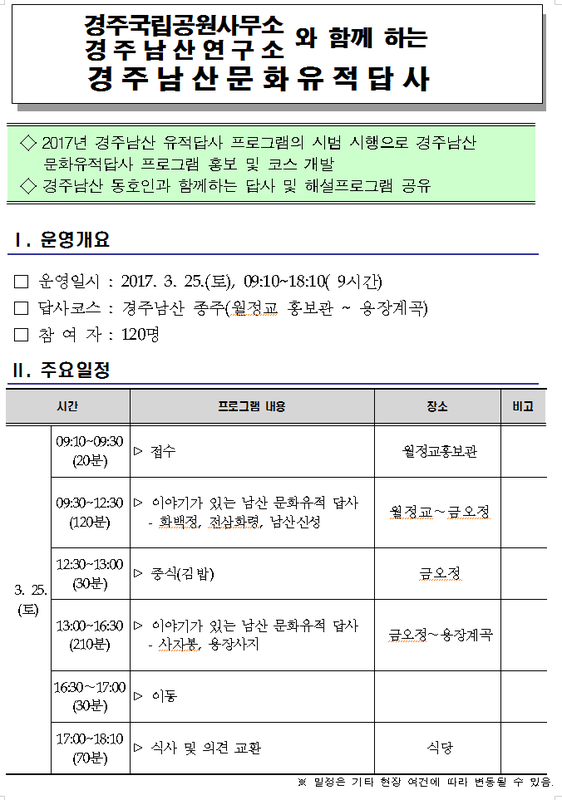 - 다음 전화로 [이름과 휴대전화번호]를 문자로 주시고 참가비 입금. ※ 멀고도 힘든 코스 입니다. 어린이와 노약자는 신청 자제 부탁드립니다. 2017. 2. 8. 신청 접수 마감합니다. 경주남산연구소. © 2011 The Research Institute of Mt. Namsan in Gyeongju, Korea(RING). All Rights Reserved. admin old　wh　신청서 Designed by 진산미디어.